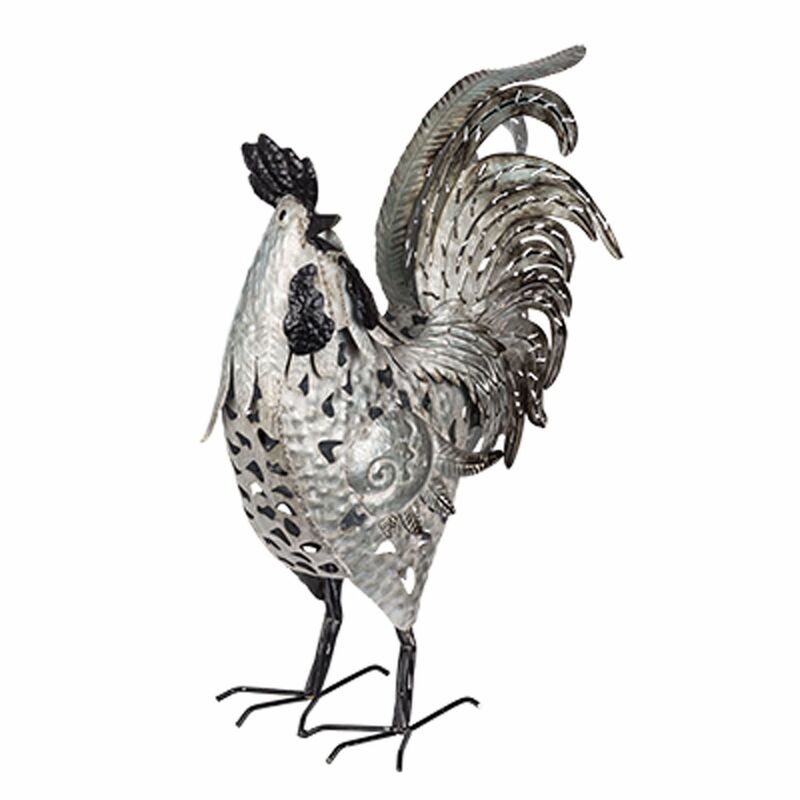 With intricate metal details and a playful pose, the Metal Rooster Table Decor delivers a perfect accent for your home, office, or garden. Over a foot tall, this statue will make a huge statement in your space! The classic metal coloring will make this decorative rooster an ideal complement to any decor style.